1. First, you open the Data Merge tool by going to Window > Automation > Data Merge. 2. 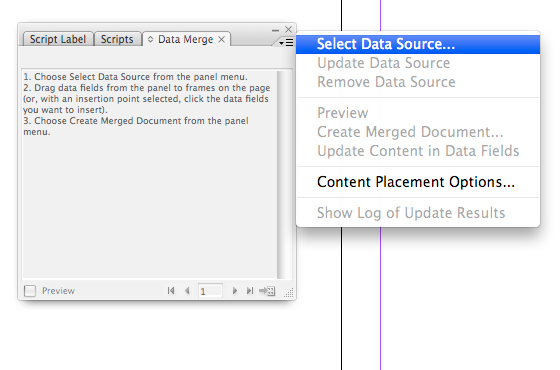 In the Data Merge drop down menu you will find the Select Data Source option. When prompted, find the spreadsheet document you want to use, but make sure it is saved in .csv or .txt format. 3. Once you select your data source, each column title within that spreadsheet document will appear as a list in the data merge window. 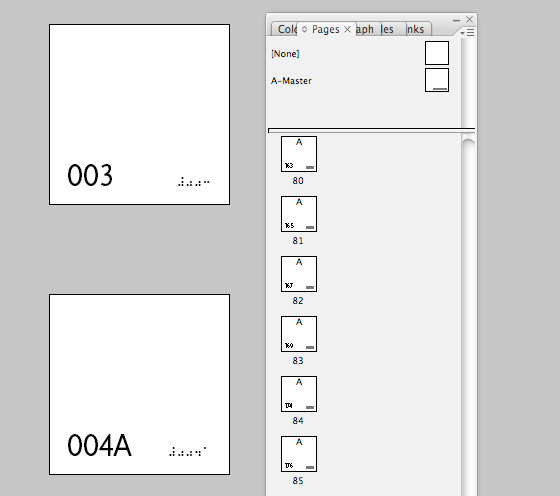 Next, you create a text box and position it in the area of the page you would like the data to appear – remember the current document is only a template that a merged document will be created from. 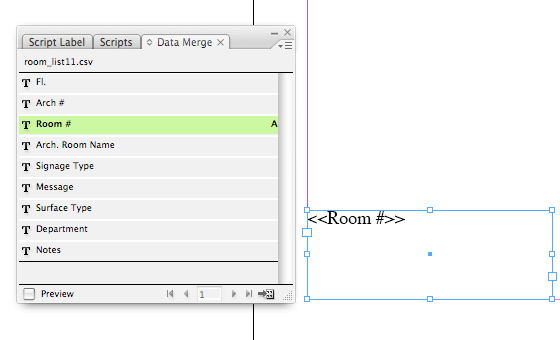 Once you position your text box, activate it and select the column in the Data Merge window you would like to use. 4. 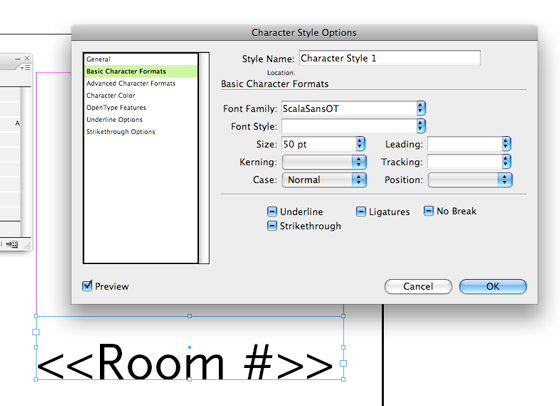 Next, I gave my text box a character style so that I can control the overall look of the signs with less manual work. It is important to set this in your template document before you merge your data. 5. 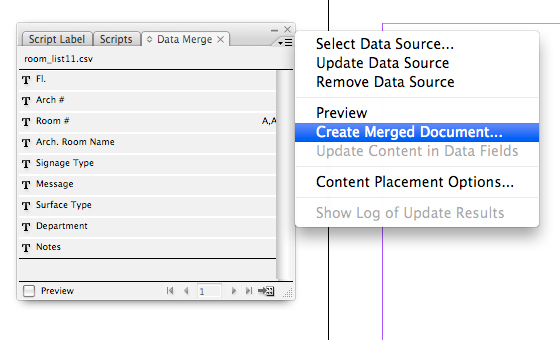 After you have everything set, you select Create Merged Document in the Data Merge drop down menu. This will pull up an additional menu with various options on how you want to flow the information into your merged document. Once you set your preferences, click Ok.
6. Finally, your merged document will be automatically created from the template document you just made.